The Dirac δ function has solid roots in nineteenth century work in Fourier analysis and singular integrals by Cauchy and others, anticipating Dirac’s discovery by over a century, and illuminating the nature of Cauchy’s infinitesimals and his infinitesimal definition of δ.
Błaszczyk, P., Katz, M., & Sherry, D. (2012). Ten misconceptions from the history of analysis and their debunking. Foundations of Science. doi: 10.1007/s10699-012-9285-8 and http://arxiv.org/abs/1202.4153. Borovik, A., & Katz, M. (2011). Who gave you the Cauchy–Weierstrass tale? The dual history of rigorous calculus. 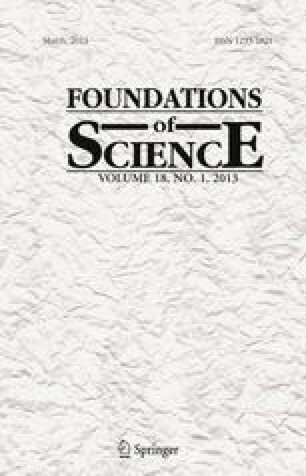 Foundations of Science. doi: 10.1007/s10699-011-9235-x and http://arxiv.org/abs/1108.2885. Cauchy, A. L. (1821). Cours d’Analyse de L’Ecole Royale Polytechnique. Première Partie. Analyse algébrique. Paris: Imprimérie Royale. http://books.google.com/books?id=_mYVAAAAQAAJ&dq=cauchy&lr=&source=gbs_navlinks_s. Dauben, J. (1988). Abraham Robinson and nonstandard analysis: History, philosophy, and foundations of mathematics. In W. Aspray & P. Kitcher, (Eds. ), History and philosophy of modern mathematics (Minneapolis, MN, 1985), 177–200, Minnesota Stud. Philos. Sci., XI, Univ. Minnesota Press, Minneapolis, MN. http://www.mcps.umn.edu/philosophy/11_7Dauben.pdf. Freudenthal, H. (1971). Cauchy, Augustin-Louis. In Dictionary of Scientific Biography, C. C. Gillispie (Ed. ), Vol. 3 (131–148). New York: Charles Scribner’s Sons. http://www.encyclopedia.com/topic/Augustin-Louis_Cauchy.aspx#1. Gilain, C. (1989). Cauchy et le cours d’analyse de l’Ecole polytechnique. With an editorial preface by Emmanuel Grison. Société des Amis de la Bibliothèque de l’Ecole Polytechnique. Bulletin (5), 145. http://www.sabix.org/bulletin/b5/cauchy.html. Giordano, P., & Katz, M. (2011). Two ways of obtaining infinitesimals by refining Cantor’s completion of the reals. Preprint, http://arxiv.org/abs/1109.3553. Katz, K., & Katz, M. (2010a). Zooming in on infinitesimal 1−.9.. in a post-triumvirate era. Educational Studies in Mathematics, 74(3), 259–273. http://arxiv.org/abs/arXiv:1003.1501. Katz, K., & Katz, M. (2011a). Cauchy’s continuum. Perspectives on Science, 19(4), 426–452. http://arxiv.org/abs/1108.4201 and http://www.mitpressjournals.org/doi/abs/10.1162/POSC_a_00047. Katz, K., & Katz, M. (2011b). Stevin numbers and reality. Foundations of Science. doi: 10.1007/s10699-011-9228-9 and http://arxiv.org/abs/1107.3688. Katz, K., & Katz, M. (2011c). Meaning in classical mathematics: is it at odds with Intuitionism? Intellectica, 56(2), 223–302. http://arxiv.org/abs/1110.5456. Katz, K., & Katz, M. (2012). A Burgessian critique of nominalistic tendencies in contemporary mathematics and its historiography. Foundations of Science, 17(1), 51–89. doi: 10.1007/s10699-011-9223-1 and http://arxiv.org/abs/1104.0375. Katz, M., & Sherry, D. (2012). Leibniz’s infinitesimals: Their fictionality, their modern implementations, and their foes from Berkeley to Russell and beyond. Erkenntnis. doi: 10.1007/s10670-012-9370-y and http://arxiv.org/abs/1205.0174. Katz, M., & Tall, D. (2011). The tension between intuitive infinitesimals and formal mathematical analysis. In B. Sriraman (Ed. ), Crossroads in the History of Mathematics and Mathematics Education. The Montana Mathematics Enthusiast Monographs in Mathematics Education, Vol. 12. Charlotte, NC: Information Age Publishing, Inc. http://arxiv.org/abs/1110.5747 and http://www.infoagepub.com/products/Crossroads-in-the-History-of-Mathematics. Smithies, F. Review of Lützen (item  above) (1984). http://www.ams.org/mathscinet-getitem?mr=667854.